We reached this place in less than fifteen minutes from the airport and were quite enthralled to see this massive resort. 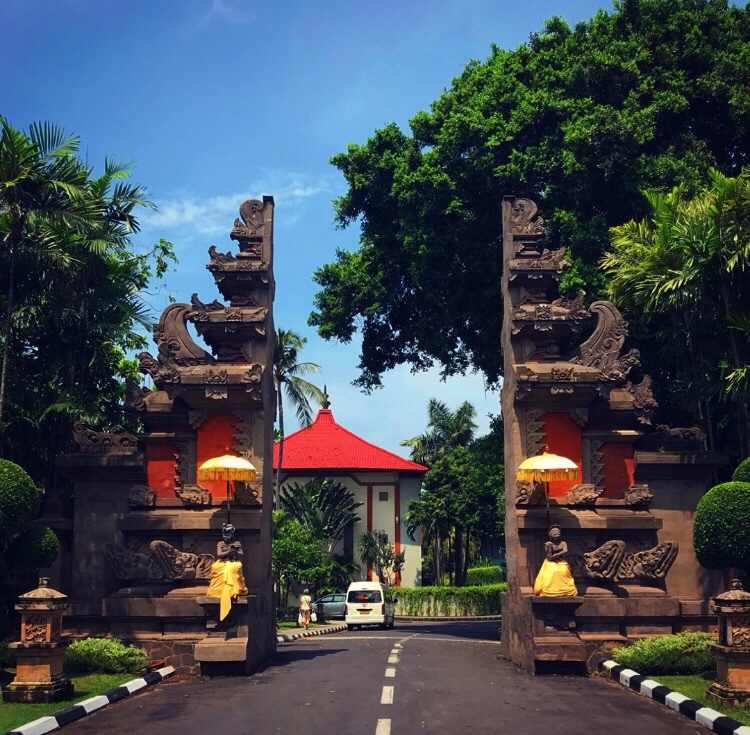 Moving in through the front gate you’ll notice the long driveway, which passes through a Balinese style entrance leading to the grand reception. 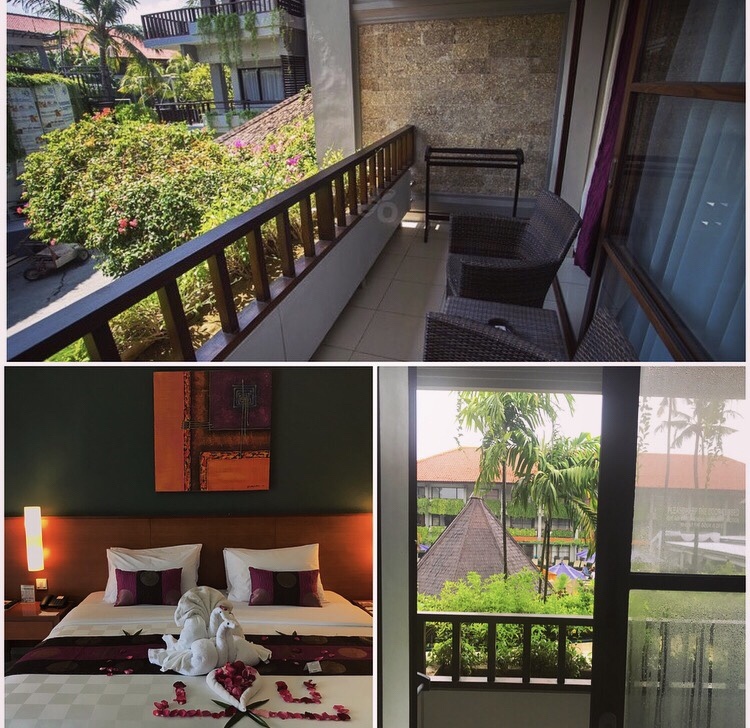 The resort is known for its lush green surroundings, warm Balinese hospitality and stupendously beautiful traditional architecture. It also has a backdoor easy access to the beach with local markets just at a stone’s throw, making it perfect for staying! 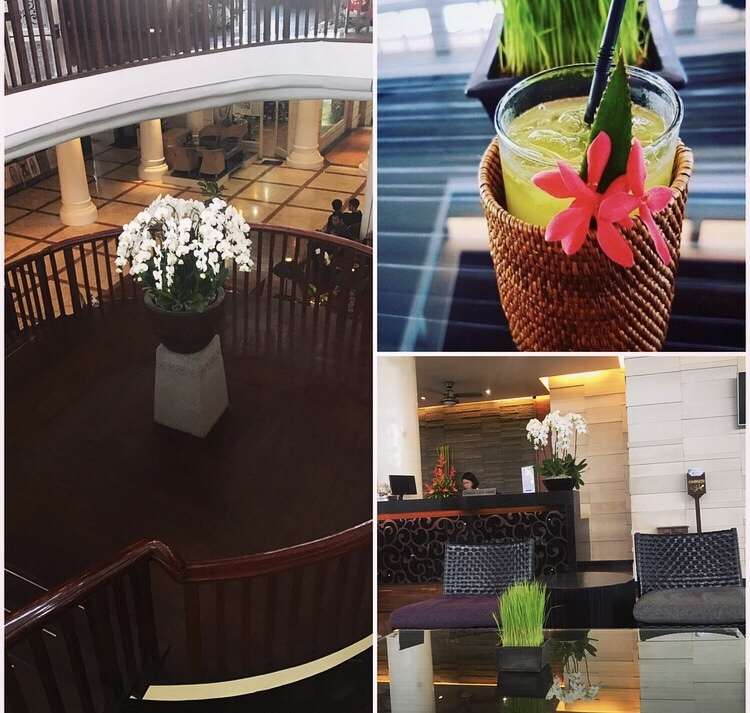 Upon arriving at the resort, we were quickly ushered to the seating area and served with the welcome drinks while they processed our check-in. We were given the room key card and wifi passwords. The bell boy took the luggage and guided us to our room. Our room was pool facing on first floor with an awesome view. The sliding door led to the balcony which had two comfortable wicker sofas and a table. In fact sitting in the balcony is something I look forward to, there’s something very serene to lounge and absorb the goodness of lush green tropical gardens. The room was excellent but it was all the personal touches that the team at the resort had thought which made our stay spectacular. There was a hand written card along with the card by the hotel manager wishing us pleasant stay. Also they had kept chocolates and fresh Balinese fruits! The bathroom was neat, clean and well stocked with exquisite toiletries, it didn’t have a bathtub but the huge rain shower was good enough. The amenities were of good quality and sufficient. In the room, there was a huge LCD but on vacation we hardly turn on the TV, a good stocked mini bar and of course the tea/coffee maker and dressing gowns were provided. Altogether a great comfortable room. Within no time we had strolled through the resort, checked the restaurants, bars and without wasting time we headed for the pool to play pool volleyball. And I don’t mind sharing that my team lost but it was great fun! 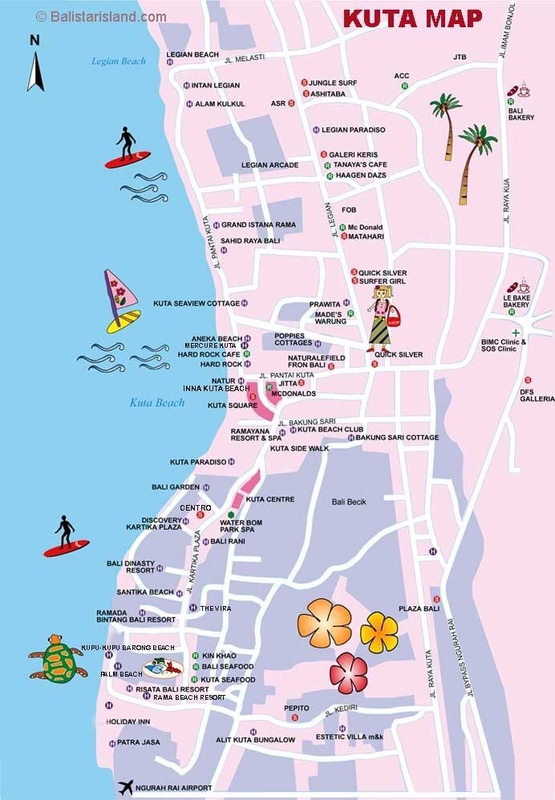 In the evening we went out to explore Kuta and Legian area. 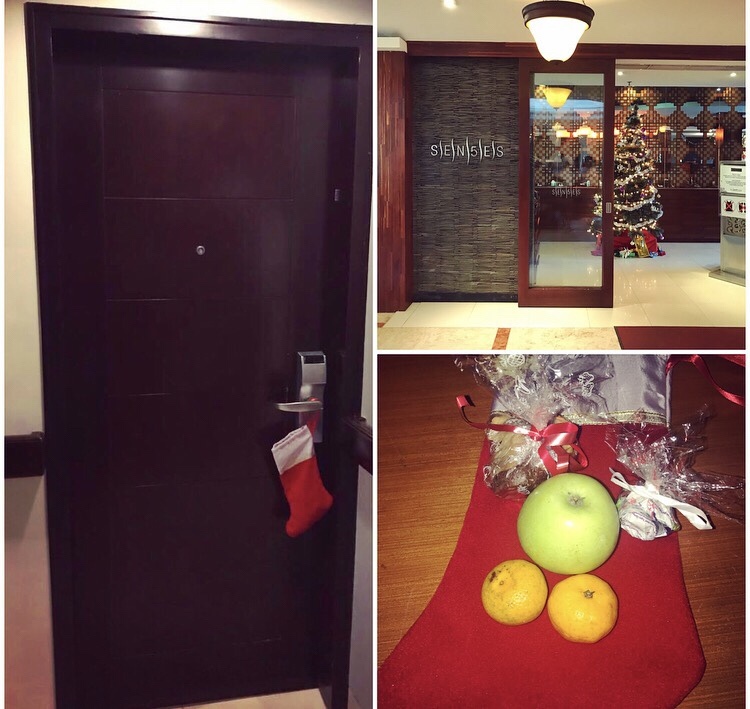 It was Christmas Eve and by the time we reached back it was past midnight, We reached our room and were absolutely thrilled to see a stocking at our door. It had fruits, chocolates and cookies inside it. We loved how they took care of all the small details, it was such a sweet gesture. A home away from home and this is what one looks for! After all happiness lies in the little things, Isn’t it? The room service is quick and is till 11 pm. However, they do extend if requested, provided it’s not very late. The menu card on the bedside table lets you decide, Yay!! !the delicious food is just a call away! One night after exploring the city and having our share of insane times we reached back our resort. Around midnight we craved for a pizza! So treated ourselves with a delicious Cheese margarita pizza and Bintang. 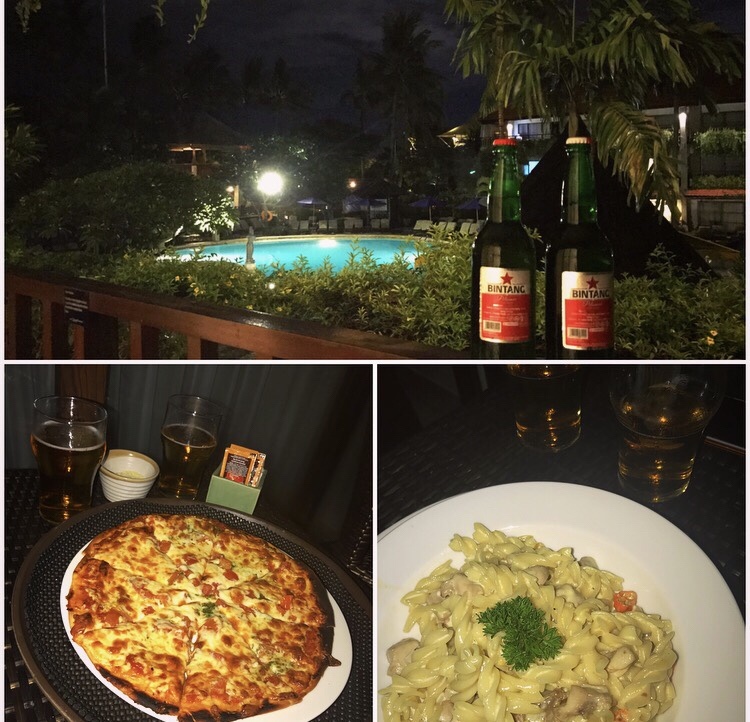 Then one pizza led to another, I called up the room service for some more Bintang, Pasta and Pizza. I can’t tell you how much fun it was to sit in the balcony while it’s rained and have sumptuous food. The vibe, ambience, food and everything was just so perfect. Ahh! and the calories, Shhh they aren’t counted when holidaying lol! The pool atmosphere is pleasantly noisy as through out the day the pool parties are on with lots of games and entertainment. Rather it adds a huge laid back party vibe which makes it really cool. 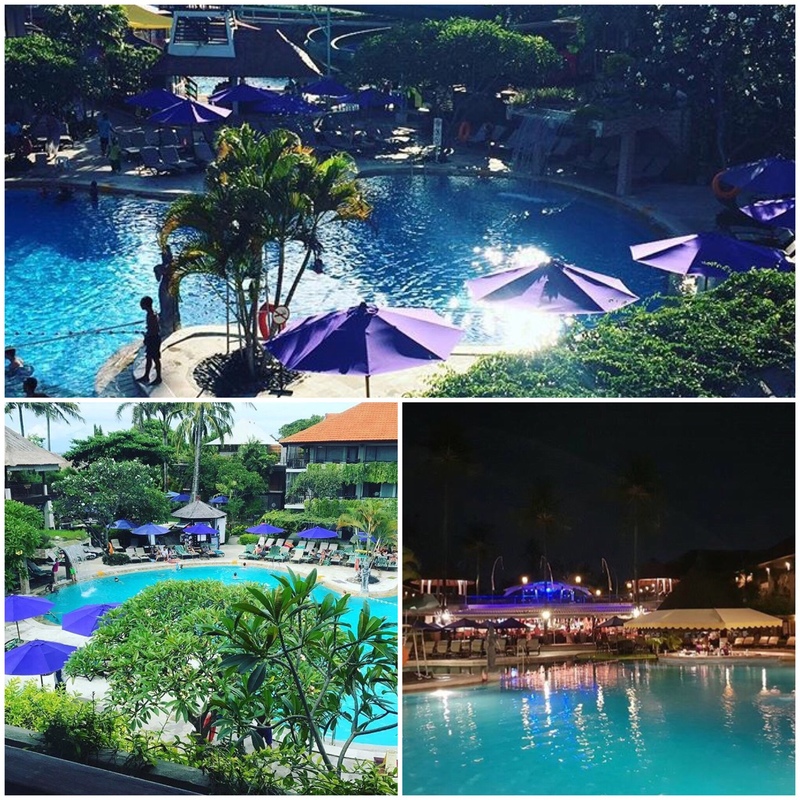 There are 3 swimming pools, the main pool houses a bar called “Sunken Bar” where you can enjoy exotic drinks while taking a dip in the pool, lazy pool only for adults where you can just laze around, get soaked in the sun and a dedicated kids pool with water slide. There’re lounge beds by the poolside and a red flag lying under your bed which you need to raise in case you require anything and the staff will come running for assistance. There’s “Ashoka spa” which would help you unwinding and relaxing with deep tissue, hot stone massages, facials and number of finest treatments for your pampering session. Breakfast is the grandest affair I’d say, And Our booking was inclusive of the breakfast. Everyday I had such a hard time to choose. How I love lavish buffet spreads! 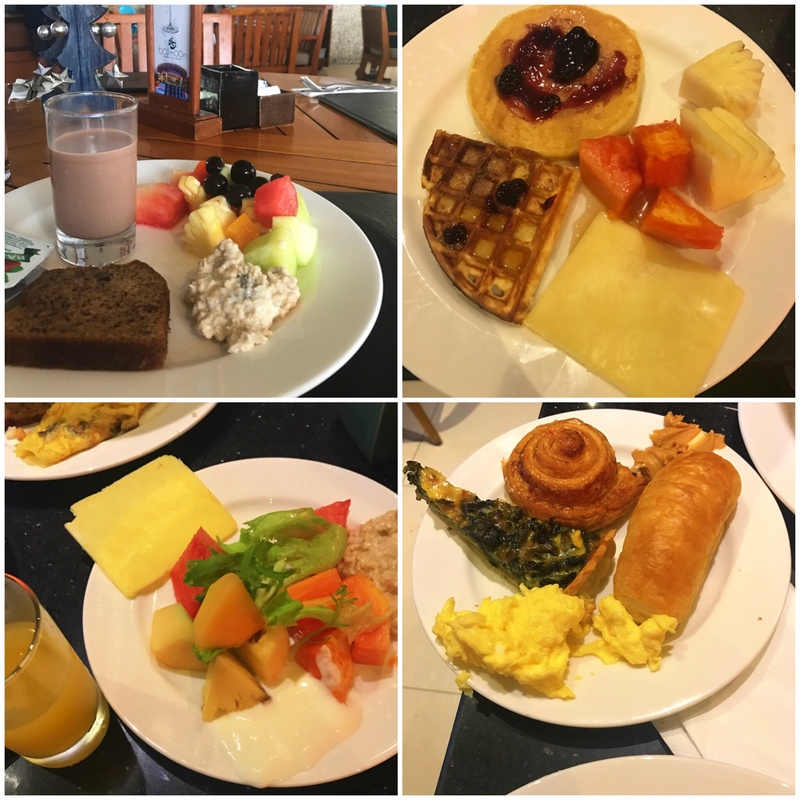 Fresh fruits, juices, flavoured milkshakes, coffee, tea, waffles, pancakes, muesli, yogurt, porridge, different kinds of breads, sausages, poached eggs, pastries, quiche, croissants, noodles, omelette( made on order), traditional Indonesian dishes and huge array of foods from all corners of the world. No matter what you want, you’ll find it here. You can have buffet at Senses restaurant which is in the lobby area and H2O restaurant by the pool. However at the latter you won’t get Asian and Indian cuisine. Apart from this, it boasts of 6 world class restaurants with different themes and cuisines like Chinese, Irish, Indian, Italian, Western which are worth trying. We usually get up late when on a vacation so end up rushing for breakfast. I’d suggest you to get up slightly early so that you don’t have to queue at all and can enjoy heartily. What we loved the most are their ever smiling faces and always ready to help attitude. 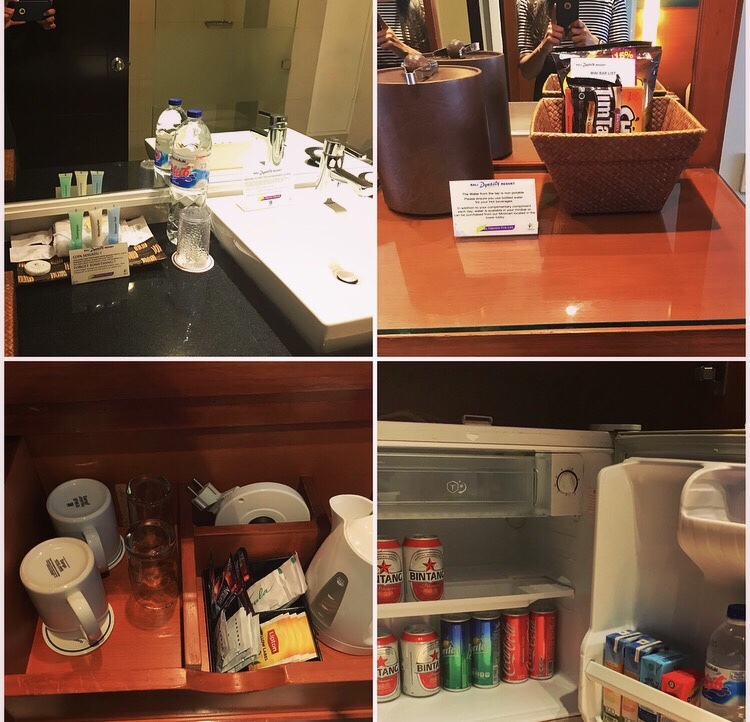 Our house keeping guy, Pudu was really sweet who took care of the little details everyday. He used to make fantastic towel art which was way too cute. They’d really make you feel special. Imagine passing by random hotel staff and every time they’d greet you with a lot of gregariousness. 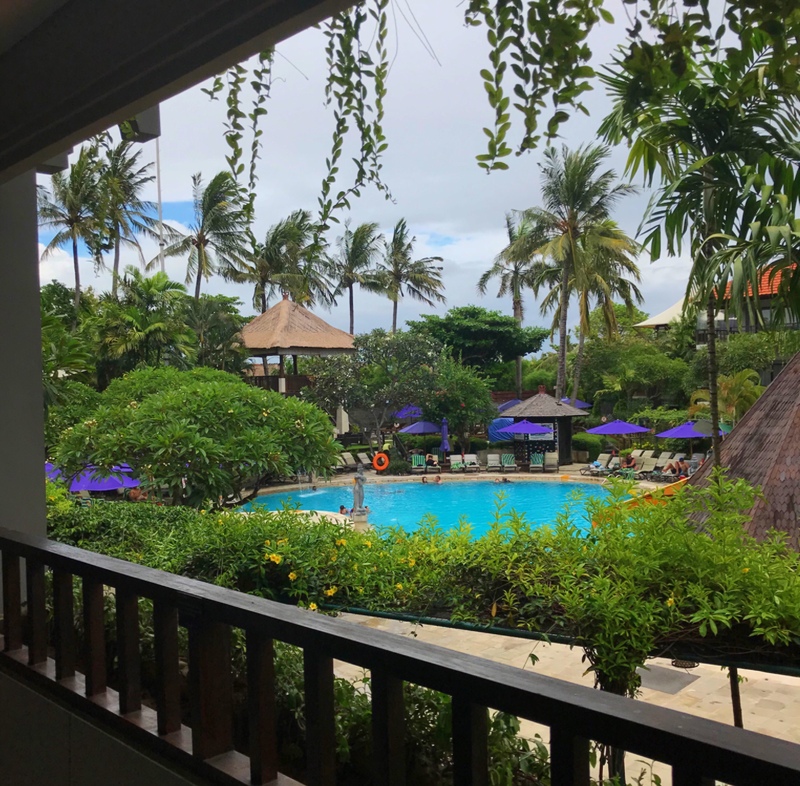 Everyone at the resort was well trained and kind enough to help.With such amazing Balinese hospitality it’s not surprising that the hotel has won many accolades. Family Resorts- Readers’ Choice Awards : Best Family Resort 2017, TripAdvisor Travellers’ Choice Award 2017, No.1 in Bali from Holidays with Kids Magazine and many more accolades. 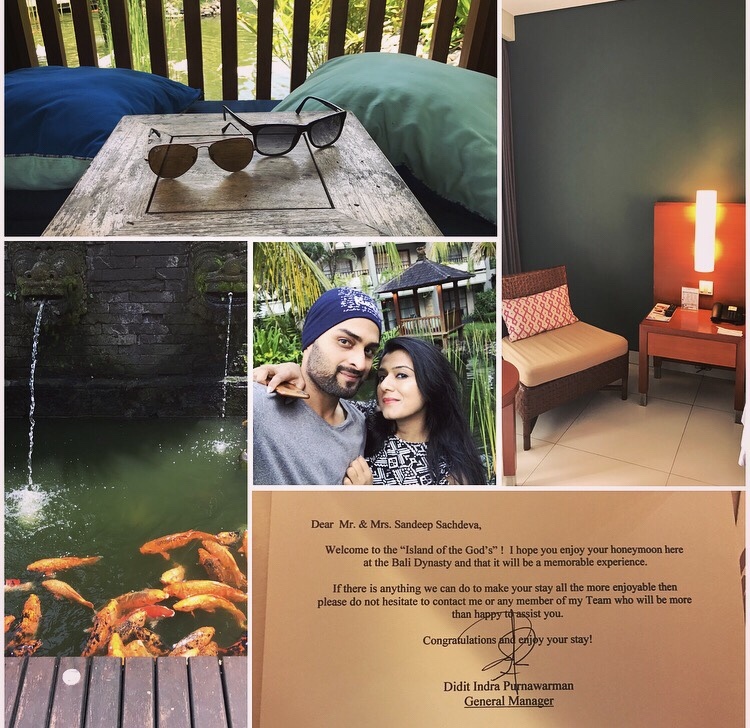 We really had a great time at Bali Dynasty resort and would recommend to anyone who wants to be in a happening and opulent lush green jungle. Have you been to this resort? How was your experience? Do let me know if you have any related questions. Perfect! I’m looking for a place to stay when I visit Bali. Thanks for the timely info. Envy might be too much of a strong word… but yeah, I envy you travel bloggers. Anyway, I’ll stop drooling now. I thank you so much for this post. Loving your pics too. I love their stockings! How thoughtful! Bali looks amazing in every single photo and i appreciate your putting in the awards and staff mentions! Good idea and I’ve not seen it on a travel blog before! Yes that was really sweet and thoughtful! Thank you so much Kate:) and I believe as travel bloggers we can spread the word if someone or something is good. We tend to fume at faults, shortcomings and tell whom not! So why not to highlight if someone’s really good. the front gate is so cool. the resort has a lovely ambience and what attracted me most is their food. I have been to Bali and loved all right from beaches to its great temples. 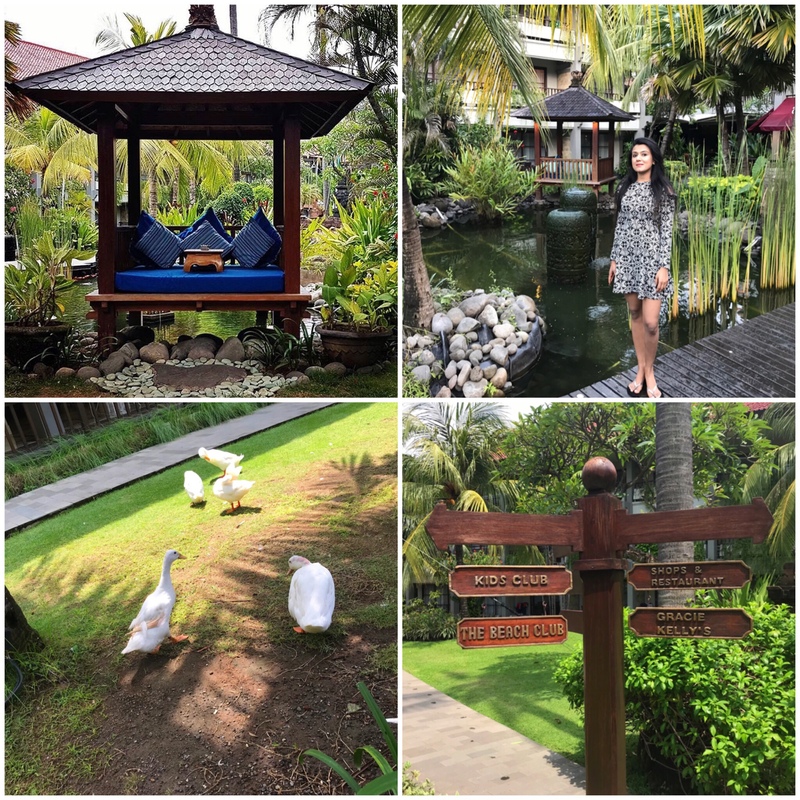 This resort in Bali looks so scenic in your pictorial post. I may consider it in my next visit to pamper me more. I love the photos of the place, and the food looks good! Thanks for sharing – been meaning to go to Bali for a while now. Thank you Poorna:)And I’m sure you’re going to have a great time at the island!